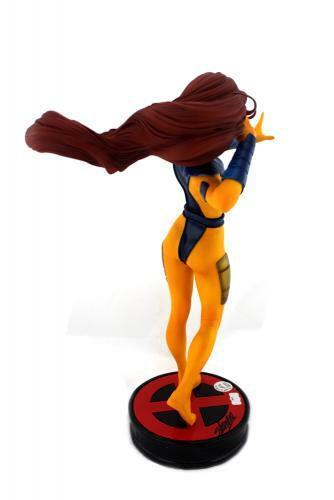 Collectibles is proud to present the Jean Grey Premium Format™ Figure. Expertly crafted in one quarter scale, the Marvel beauty strikes a signature pose wearing her dynamic skintight yellow and blue costume with circular red ‘X’ belt buckle, made popular during the ’90s X-Men animated series and Gold Strike Team era. Radiating with cool confidence, the fiery red-head prepares to protect those she holds dear, no matter the cost. 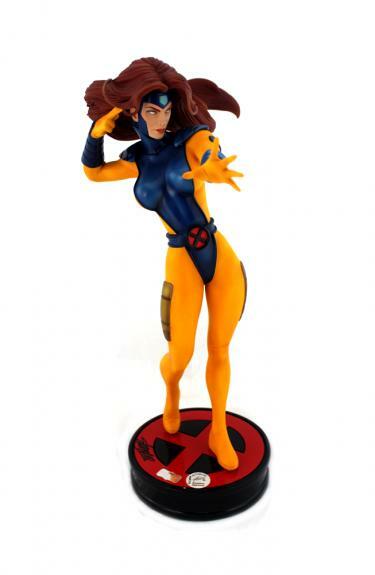 An integral member of the X-Men legacy, the Jean Grey Premium Format™ Figure is a must-have addition to any Marvel mutant collection! AUTHENTICATION: The item is authenticated using a Certificate of Authenticity, Serial Numbered and Databased Hologram, and picture of Stan from the Signing. The item also features the Official Stan Lee Authentication Hologram. Comes fully certified with Certificate of Authenticity and tamper-evident hologram. Also backed by HollywoodMemorabilia.com's Authenticity Guarantee.